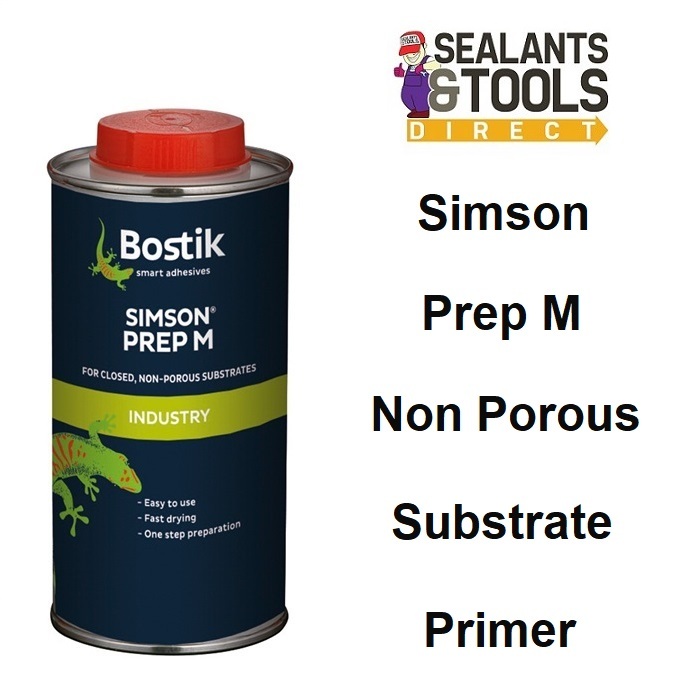 Simson Prep M is a Transparent liquid pre-treatment for improving the adhesion of Bostik Sealants and adhesive products on Non-porous substrates. Plain aluminium, steel, copper and brass surfaces. Substrate to check for possible effects. Fast drying; approximately 5 minutes. However this depends on the type of substrate, drying times can vary. Easy to use one-step process.